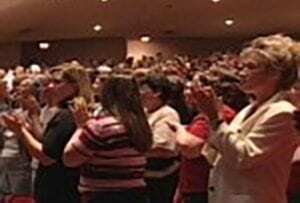 Keynote speaker and award-winning author Jean Gatz delivers just what your audience needs … every time she walks on stage. Whether Jean is wowing corporate audiences with strategies that impact their bottom line, or bringing conference attendees to their feet with her laugh-out-loud humor, Jean is a guaranteed success. She connects right from the start to inspire, motivate, educate and entertain. 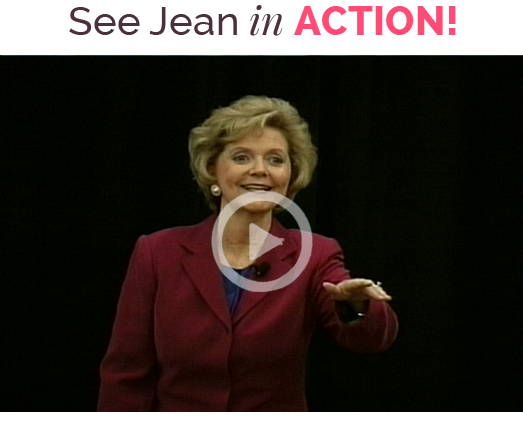 Watch Jean bring The WOW Factor to your event! people to hear. Her unique blend of humor and strategic content guarantees success. See what clients and audiences across the US and Canada are saying about the results Jean delivers – every single time. Rave Reviews and Jean’s client list are here. 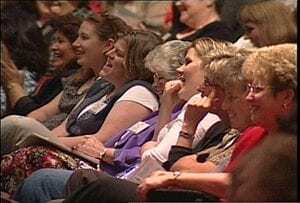 For your women’s leadership conferences and community events, Jean delivers an entertaining and engaging message for women of every age and every stage of life.